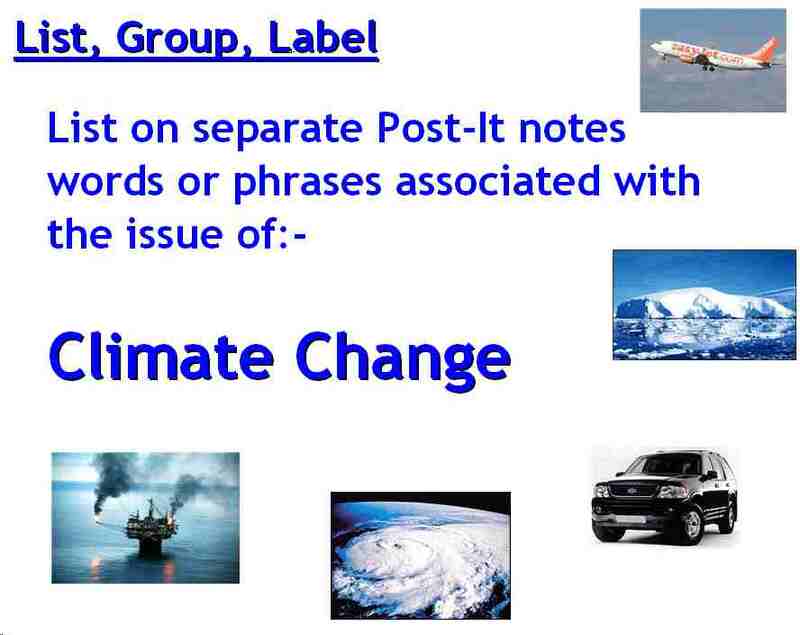 LABEL: Next they have to agree heading labels for their groups. For example, if climate change is the theme, some students might sort them into "Causes of climate change" and "Effects of climate change", or they may categorise them in a completely different way. The really important thing from a thinking skills perspective is in eliciting and praising the connections that students make, and using thinking skills language, such as categorise, sort, classify, group, set, sub set, etc. when you plenarise the activity. We are busy doing a Dracula unit where I have focused on using the writing triplicates in all the tasks. The particular writing technique that I was getting my Year 9’s to think about and use was, informative writing. We had spent the previous lesson looking at how to recognize informative writing and thinking about rules we would come up with in order to ensure we are writing appropriately. I used ‘List Group Label’ as a main activity where the objective was to think about information we would include in a ‘Vampire Hunter’s Guidebook’ and how we would go about grouping this information appropriately. In groups, I allowed my class to try and fill as many post-its with information that they thought would be relevant in the guidebook. Once we discussed some topics I then asked them to then sort the information into related sections and think about what they would call the sections. My class thoroughly enjoyed the activity, none of the groups filled anything less that 50 post-its. It was a fun and innovative way of tackling the issue of sections, paragraphs, headings and sub-headings. Do not let students get carried away with what information they would include when thinking about a topic otherwise you land up with 40 out of the 50 post-its only covering “appearance of a vampire” for instance. Used as a starter activity to check children's current level of knowledge. We started by talking about family pets. I showed them a flipchart with a mixture of wild and domestic animals and asked them to think about what the animals eat. Each group had a maximum of six people with a nominated leader to ensure that everyone was included in the activity. I had arranged the list, group and label instructions on separate pages to help with the timing of the lesson. There was some initial confusion about recording ideas but then they settled into the sharing of ideas. I was really impressed with their ability to put the post-its into categories, much better than I had envisioned! I would definitely use a similar set of flipcharts with lots of visual clues. Check that the children write individual words and phrases on separate post-its rather than trying to squeeze everything on to the same few post-its!